Saturday, April 28 at 7:00 p.m.
under the stars at 100 Atlanta Country Club Drive. The gala will feature a private concert by Yacht Rock Schooner and food catered by celebrity ‘cheftainer’ Alex Reethof. The charity gala will benefit Gathering Industries. The charity committee is led this year by the smooth team of Carie Buchanan, Tina Engberg, and Jennifer Risey. This year’s event is an all-inclusive charity dinner and concert for the glitterati focusing on the evening’s gastronomic delicacies and phenomenal entertainment. The dress code is “Farrah Fabulous,” and if you still have your Famolares, wear ‘em. Entry to the event is limited, managed online, and is expected to reach capacity. Yacht Rock Schooner is all about 72 degrees and smooth jams from the sunny beaches of 1978-1984, when pop music used slash cords and craft to create wrinkle-free sing-along songs that won’t spill your drink. Songs by Michael McDonald, Kenny Loggins, The Doobie Brothers, Hall & Oates, Lionel Richie, The Bee Gees, Steely Dan, Jackson Browne and more. Expect to dance like it’s 1984. Chef Alex Reethof has been in the culinary and hospitality industry for more than three decades and hosted his own cooking show “Back to the Table.” Alex has been a chef for fine dining establishments from Seattle to Sarasota and owns a successful ‘cheftainment’ business. He is the driving force behind “Good Eating Great Cause,” a culinary tour and competition for SafePath. Gathering Industries is a nonprofit organization co-founded by Lake Dawson and Alex Reethof that provides management and training skills programs for homeless individuals in the culinary arts to make them employable. Their mission, through training, is to help those individuals that seek a second chance. Working in collaboration with a host of Atlanta restaurants and Atlanta Missions, Gathering Industries thoroughly trains homeless individuals in all facets of the restaurant business with an in-depth emphasis on culinary skills and food handling. Gathering Industries provides kitchen training through their box/catered lunch program. The Gathering prepares and rehabilitates the homeless with dignity for future jobs and helps them to become self-sufficient. 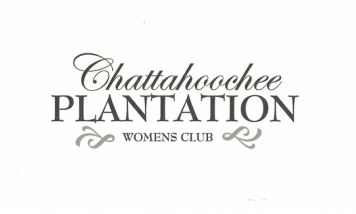 Originating in 1970 as a garden club, The Chattahoochee Plantation Women's Club has more than 220 members in our community. The club promotes social and community-service oriented activities and has numerous weekly Interest Groups. Blooming Investors has blossomed into "Savvy Women" -- Kickoff Meeting Thursday! As you heard at the Opening Luncheon, a new special interest group has grown out of Blooming Investors. Savvy Women has formed to allow more diversity across multiple business topics. The founders of Blooming Investors hope to continue personal investing as a sub-group of Savvy Women. Savvy Women will meet on the third Thursday of each month for social time, a guest speaker, Q&A and a current event wrap up. Topics for Savvy Women might include identity theft, starting a small business, buying a few stocks (and knowing when to sell), the skinny on reverse mortgages, long term care insurance, home security and current events ...just to name a few. Our kickoff meeting is this Thursday, September 17, 2016 at 7 p.m. at the home of Chris Cashman. The meeting topics will be driven by the interests of the Savvy Women but for starters ...Jennifer Acuff, CPA,PFS, CFP from True Wealth Management will speak. Her expertise is Charitable Planning Strategies, Strategies for High Net Worth Individuals, Widowers/ Divorcees and is well versed in many other financial matters. Next month on Thursday, October 15, Roger Ward, CPA, PFS, CFP will speak on personal investing and retirement planning. We hope you come to our first meeting and more importantly we hope that you will be challenged in your thinking, learn something new that will make life easier and find at least one new friend along the way. Sept. 5 …with one another. Oct. 17 …with our community’s roots. Nov.14 …with friends, food and wine. Dec. 12 …with holiday blessings. Jan. 16 …with those in need. Feb. 20 …with our bodies and minds. March 20 …with our practical needs. April 17 …with those around us. Returning as our Programs Chair this year is Missy Malmberg. Joining her to help make each event unforgettable and delicious are Patti Newi & Suzanne Deery. They have put together a wonderful schedule of events for us this year based on the theme “Cherish.” Mark your calendars!